Q. Dr. Polsky: I understand that you are a canine expert witness on dog bites. 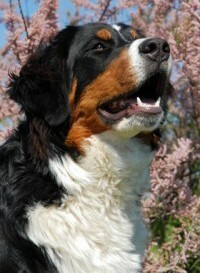 I am contacting you because my parents recently adopted an 18-month-old male Bernese Mountain dog from a rescue. My parents are very experienced with animal training having had previous dogs and other animals. Baxter has been in their home for one month. They go for long walks and he has a large home and yard to play in. He is a gentle giant and so great with young children. However, two weeks ago, he became extremely aggressive towards a family friend that is staying with them. She was in the kitchen getting something from the fridge. He growled and lunged towards her to attack but my mom grabbed his collar and held him back but was afraid that he might bite her too! Last night he did the same to my brother also living there. My parents are at a loss for what to do with him. They are living in a fear of not knowing when something will make him just snap. What if they aren’t close enough to grab him next time? What if he attacks a guest? They will soon be returning him to the rescue if they don’t find help. Do you have any expert advice to offer? Thank you! Dr. Polsky’s reply: I have been involved in many dog bite lawsuits as a canine expert witness and have never had a case involving a Bernese Mountain dog. I say this to give you the reassurance of the generally docile nature of the breed. 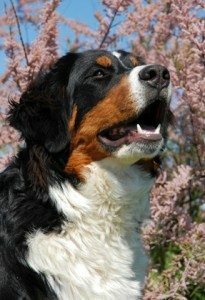 Nonetheless, you must appreciate that pre-generalizations can only take you so far and it is extremely important to evaluate the dog’s history and current behavior to determine the dog bite risk your Bernese mountain dog poses to people who visit your parents home. There is something weird going on about the refrigerator door opening. It not only happens to a familiar person, your brother, but a relatively unfamiliar person who was visiting. If this is the only context in which the aggression has happened to date, and if the dog is non-aggressive in all other contexts, then this would support my opinion about something weird about the opening of the refrigerator door. He may have formed some very strange association with the opening of the door which in turn serves as the impetus for his aggression. I am speculating here, obviously because I do not know enough about the case, but if this is true then there should be some relatively straightforward learning procedures to desensitize/habituate him to the opening of the door. Before your parents give up on him, I strongly suggest that they contact a competent animal behaviorist. Avoid a dog trainer. Since you live in the Boston area my suggestion is to contact the animal behavior clinic at Tufts University. You should also note that this is not a training problem but a real behavioral problem and that is why I am suggesting you contact the experts at Tufts. 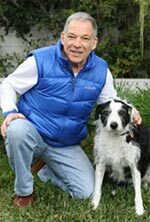 Canine expert witness, Richard Polsky, Ph.D. welcomes inquiries from dog bite attorneys. He can be contacted using the contact form on this website.